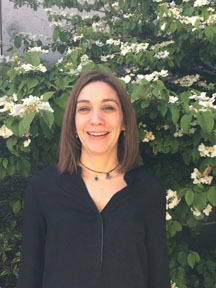 Nathalie Pamir, Ph.D., is an assistant professor in the School of Medicine, Knight Cardiovascular Institute (KCVI), where she focuses on preventive cardiology. I’m from a Russian family but I was born in Turkey and spent my childhood there. I then went through the French school system and returned to Turkey to get my undergraduate degree. From there I moved to Vancouver, B.C., where I earned my master’s degree at the University of British Columbia and finally my doctorate degree at the University of Washington. This is also where I completed my postdoctoral research. I was ready to move. I felt like I needed a change for myself and new openings for my research. I immediately saw the benefits. At OHSU I have access to human samples that would have been very difficult for me to get at UW. Here that resource is much more available and people expect you to do something with it. [KCVI] is an institute very much embedded in a clinic environment. I moved from basic science to translational work in a year and that’s because of how KCVI is structured. I go to staff meetings where I’m sitting next to cardiologists and I get to hear what they’re doing and observing and if I ask a question, people will direct me to the right people or resources. People here don’t mind sharing. I’m currently working on two separate but related areas: cholesterol and adipose tissue, or body fat. On the cholesterol front, we want to know: Is good HDL really good? If so, why? Or have we found a way through our lifestyle to make it bad so it’s no longer working? We do know that HDL levels have a hereditary component; roughly 50% is unchangeable. So you can only modify the remaining 50%. You can think of HDL particles as tiny balls, about one thousandth the size of a cell nucleus, infiltrating every tissue in the body, removing cholesterol from cells and bringing it back to the liver. That’s their job. Historically we always cared about the number of “balls” but that’s now considered irrelevant because so many studies have shown that raising HDL levels does not necessarily provide cardiovascular benefits. The discussion now is around how efficient, how good these particles are at removing cholesterol from cells and bringing it back to the liver. Testing for function isn’t at the clinical level yet but there are four large epidemiology studies looking at HDL function and cardiovascular risk. What I want to know is the function genetically regulated? If so, what’s the wiggle room for improvement? I currently have an American Heart Association Scientist Development Grant to look at HDL proteome (a set of proteins expressed) and function across hundreds of strains of mice. I’m using a genetic tool developed by UCLA that allows you to map a phenotypic trait, say HDL function, and then identify a couple of genes that associate with that trait – so, these genes regulate that trait. In my studies I’ve shown that HDL function and HDL proteome are genetically regulated. The most amazing part is that just by looking at the HDL proteome of 80 to 100 proteins, you can predict the genealogy of a trait with statistical analysis. Another interesting area I’m exploring is we know HDL function correlates with CVD but in most cases, it’s not the CVD that kills you, it’s a stroke event. But why? The relationship between HDL cholesterol and stroke is not very well defined. So I’m working with Nabil Alkayed, M.D., Ph.D., director of the Division of Cerebrovascular Research in the OHSU School of Medicine to better understand this link. We tested 15 patients and found a tremendous difference not only in HDL function but also in the HDL proteome. The reason that’s important is we believe protein dictates function. If we understand what these HDL “balls” are made of protein-wise then maybe we can understand why they’re good at, or failing, at their function. Sergio Fazio M.D., Ph.D., head of preventive cardiology introduced me to REGARDS (Reasons for Geographic and Racial Differences in Stroke) researchers and I’ve been granted access to samples from this large epidemiology study to further explore this research question. I have 3,000 samples total – 1,000 healthy, 1,000 CVD, and 1,000 stroke to look at HDL biology, function, proteome, and genetics. Now I need to do the science and have requested funding from NIH. My work examining adipose tissue focuses on metabolism. Why do we get fat? What happens in the body when we get fat? Again, the tool we use to answer these questions is to study the structure and function of proteins, proteomics. We recently developed the first reliable proteomics method for examining adipose tissue and I’m writing my first paper on this new method at the moment. Until now there were no reliable methods for identifying proteins in adipose tissue, not even in mouse models. But because I used proteomics to study HDL, I knew how disassociate lipids from proteins and I transferred that expertise to adipose tissue. Now we can get lipids out of the way so we can study the proteins. I’ve also teamed up with Wohaib Hasan, Ph.D, another investigator here at KCVI, who receives donor hearts for his research. We’re looking at epicardial fat, the fat around the outside of the heart, in both “healthy” hearts and those that have failed. We know the volume or mass of that fat increases with age and with obesity. But it’s also a separate risk factor for cardiovascular disease, even in the absence of other risk factors such as age and weight and we don’t know why that is. In the past, we could only study epicardial fat through non-invasive external investigation but now, for the first time, we have proteomics as a tool to look more closely at this fat and what it secretes. Amongst all the proteins identified with this new method, we hope to pinpoint the culprit(s) causing the heart to malfunction. 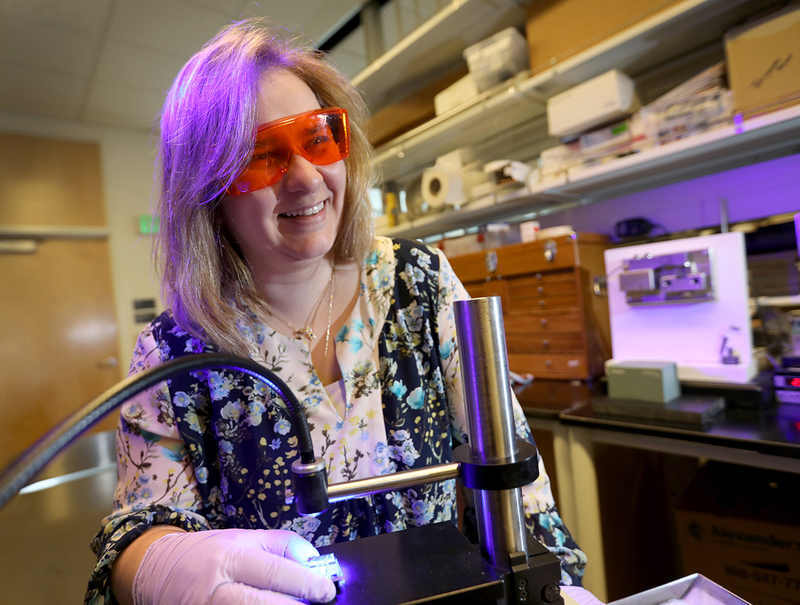 The plan is to do a screen of the tissue, the secretome, and of the group of proteins that get packed into tiny vesicles called “exosomes” that enter the blood stream and appear to be programmed with a destination. I have shown that when comparing adipose tissue and muscle, adipose tissue secretes quite a bit within 2-3 days of culture while muscle continues to secrete. We surmise epicardial fat secretes proteins, via exosomal particles, that cause endothelial dysfunction in the heart or smooth muscle abnormalities that can cause heart failure. This is a hypotheses that we’re now equipped to test. Proteomics is a kick start. We can see which proteins are in the tissue, in the secretome, and in the exosomal vesicles, and then test changes to them in assay: Does x do something to the function? Does y change the health of endothelial cell? If we know what’s coming out of epicardial fat, what is unique to that fat, and what’s causing harm, the hope is that one day we’ll be able to identify it in plasma. This could potentially produce a biomarker for heart failure. We might also find that the damage is specific to a close-proximity effect, in which case maybe we take a pharmacological approach that targets that specific protein. I like Portland much better. I grew up in Istanbul and was educated in Paris. Both places are very neighborhood-driven cities and that neighborhood aspect…. I found it here in Portland. It feels much more European to me. It feels almost like home.